Amman is the diverse capital of Jordan. With over 4 million residents, it is the largest city of the country. 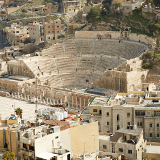 Amman offers you the chance to explore its rich history and experience the hub of activity in the downtown area. 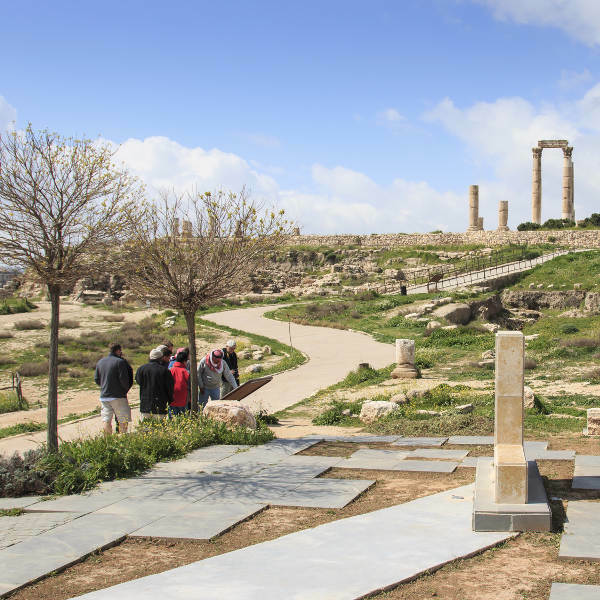 The destination’s top attractions include the Roman theatre, King Abdullah I Mosque and the Royal Automobile Museum. 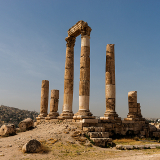 Cheap flights to Amman are now available for a limited period, so prepare yourself to explore this exceptional city. 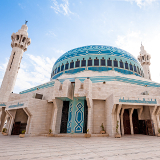 The destination is served by the Queen Alia International Airport (AMM), which is a 30-minute drive from Amman’s city centre. Through the years, Amman has become the most liberal and westernised Arab city. This is reflected in the variety of attractions you can enjoy. Amman boasts some amazing architecture, dating back to the 3rd century. There’s also all the museums. These all offer you a glimpse into a wealth of history. 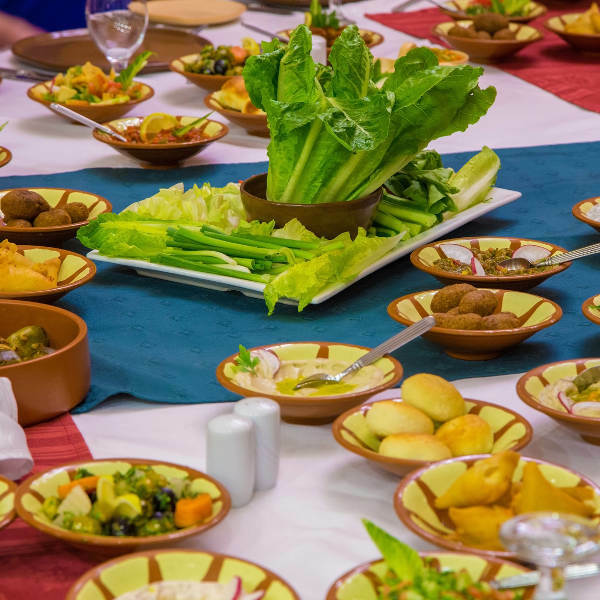 While there is a diverse selection of restaurants in Amman, you can sink your teeth into the classic Middle Eastern dishes which Amman proudly serves. A good time to visit Amman is from March to May (spring), or from September to November (autumn). This is when the weather is pleasant and light. You might find it too hot or too cold if you go any other time of the year. With such favourable conditions, however, you will encounter a high volume of tourists, less availability and high hotel costs. From June to August (summer), the temperatures reach the low 30s. During the winter (December – February), the cold can be bearable, but may reach lower than 0, and you might experience days when the air is filled with haze. These two periods will mean a lower volume of tourists, more availability and possibly cheaper hotel rates, making them the best time to visit. Amman is the cosmopolitan capital of Jordan. It has a unique geographical position, between Israel, Iraq, Saudi Arabia and Syria. Then, there are its attractions, as diverse as its people, ranging from touring historic ruins like the Roman theatre to having a party downtown at night. The Roman Empire influences go beyond the theatre, which includes museums and the Roman Nymphaeum. Discover Amman’s history at the National Archaeological Museum, which has exhibits on some of Jordan’s most interesting artefacts. 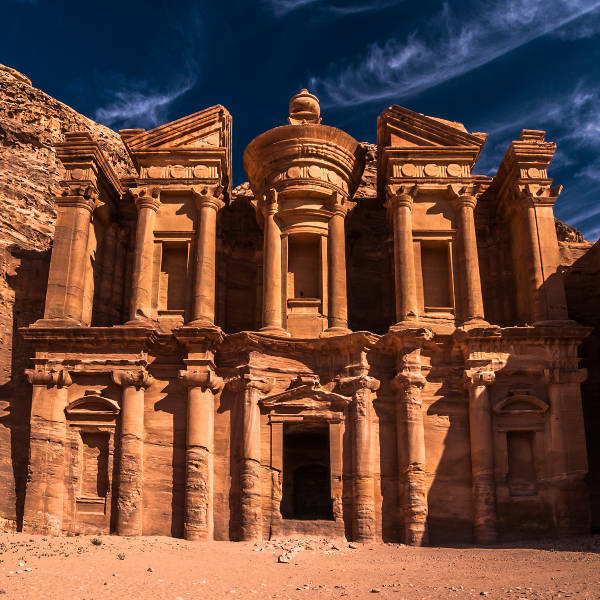 More amazing ruins are inside the country’s most famous landmark, Petra, the Nabataean city. In addition, Amman completes your idea of the all-round holiday destination with a variety of shops, restaurants, bars and nightclubs in the downtown area. Compare several airlines, and book your cheap flights to Amman online at Travelstart. Visit your doctor to find out about all the routine vaccinations you will need before departing for Jordan. Make sure to do this 4-6 weeks before you leave. Other diseases to beware of include Hepatitis A and B, Typhoid and Rabies. Amman enjoys a high standard of safety, thanks to the police and the military. You can walk anywhere in the city no matter the time. Serious crime has become a rarity. Nevertheless, it would be wise to practice caution, and never show large amounts of money and keep your valuables out of sight. Plenty of hotels are available throughout Amman, ranging from 2- to 5-star accommodation. The 2-star hotels include features like spas, restaurants and free breakfast, while the rest additionally offer pools, bars, gyms, free Wi-Fi and more. The budget friendly establishments are available for a cost ranging from under 5.50 JD to over 21 JD, while the more luxurious options range from 54 JD to 271 JD. If you drive, remember that when many cars are hooting, it’s not a sign of road rage. Often, the cars at the robots cannot see them, so the cars further back start hooting when the lights turn to green. Stay alert as some of the local cars are old and badly maintained. Beware of pedestrians who suddenly cross the road without looking; it’s a common reality in Amman. Yellow and grey taxis are available throughout the city. Only use those with a green logo on the doors. The grey ones will have an advertisement on top. Cars without these are from other cities and it’s illegal for them to provide transport in Amman. The meter rate is from under 0.27 JD for the start and then 0.43 JD per kilometre. Buses are available too, at a starting rate of JD 0.37.